It’s no secret that Puerto Rico has some of the most beautiful beaches you’ll find anywhere. That’s why it’s especially disheartening when you see some of them littered with piles of trash and broken glass. There seems to be less of a stigma with littering here than in the states. This blows the mind of new arrivals like us who are appalled to see magnificent natural landscapes, unimaginable where we come from, absentmindedly treated like a dump. Before I get too carried away railing against the prevalence of littering here, I want to try to be objective. Thinking back I can certainly recall encountering similar attitudes and actions back in San Antonio as well. My brother, who worked at a movie theatre at the time, said the aisles were filled with debris after every showing. I can also remember being repulsed at the sight of piles of trash all throughout the massive Six Flags Fiesta Texas parking lot when we were one of the last families to leave one night. However, since these are private places of business which have a direct incentive to promptly clean up after their messy customers, perhaps a better example would be New Braunfels, where tubers have been known to trash the crystal clear spring-fed rivers every summer. Being public, the beaches here, like the hill country rivers in Texas, are both prone to become the unfortunate victims of the tragedy of the commons. If there is a bright side to this, it’s that there is an abundance of naturally tumbled sea glass to be discovered at the area’s beaches. Holly and the boys enjoy combing the local shores for these colorful little gems. 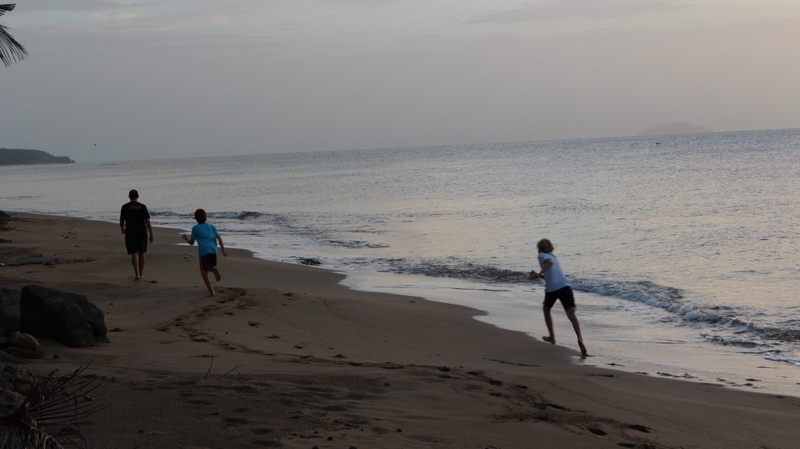 I was surprised at how many pieces the boys were able to find in just a few days at summer camp in Rincón. They even came across some of the less common colors such as red and turquois. Now that their collection is growing, Holly has been on the lookout for craft ideas to do with the boys. 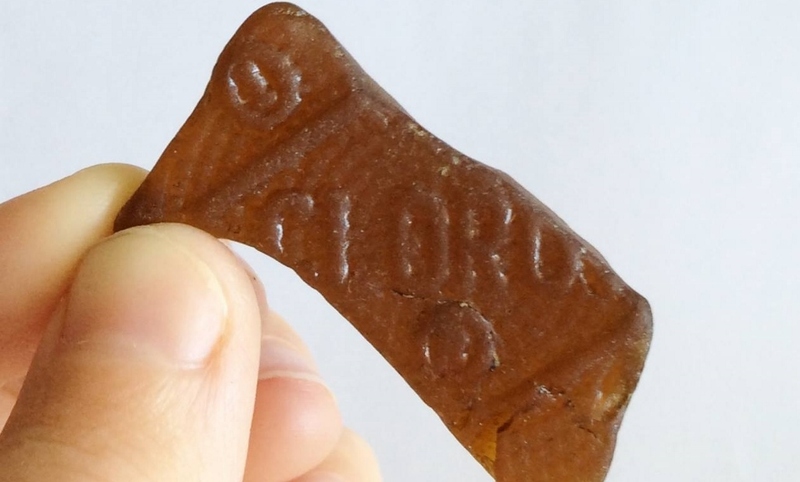 One really cool historical piece Waylon discovered was of the bottom of a cork-top Clorox glass bottle circa 1929! 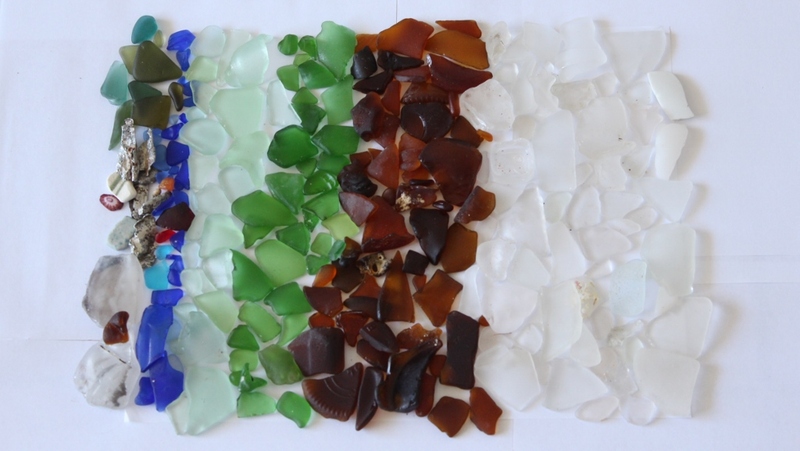 As much as I love that we can easily find sea glass at the beaches around here, I look forward to the day that they become scarce commodities as environmental awareness on the island increases. PR is a total garbage pit. We would hike for miles to go into caves and way out in the jungle there would still be starving and injured domestic animals and piles of trash and appliances and tires piled everywhere and thrown into the river (which is their drinking source) where it ends up deep (sometimes hours) into caves. Garbage and animal treatment were deal breakers in the end. We lasted 7 years and then just couldn’t take it any more! Enjoy what you can while you can. It COULD be paradise if people who lived there treated themselves and others and the land with respect. Trash exists wherever people do. The United States used to have a huge problem with litter, you could see it everywhere. Remember the American Indian commercials where he is standing on the side of the road, a car drives by and nails him in the head with a McDonalds bag? This campaign worked largely because the US is an obedience factory. It just required a little brainwashing of the masses to correct the “issue” of unsightly litter and since the US is completely fueled by consumption, the companies that profit off of the trash they created are able to shift the blame and legislation onto individuals. Look who was behind keep America beautiful (founding members Philip Morris, Anheuser-Busch, PepsiCo, and Coca-Cola) who were able to control the message. Then people who profit off of and work for these environmental polluting companies try to claim moral superiority because they sweep their trash and toxins under the rug (landfill). For example Honeywell is one of the worst. No corporation has been linked to a greater number of Superfund toxic waste sites than they have. Of course they’ll greenwash the heck out of it and continue to lobby the government. Appearance is important to these folks who go out and buy new vehicles in the name of being eco friendly. South Park nailed it with this video. I appreciate your objective perspective. Personally I think forcing companies to pay for the return of their garbage would work in the same way aluminum can recycling does. People would scout out the stuff because they could get money for it and those who produce the stuff could side step it by making biodegradable when possible.